Our hand-carved bench-made youth sized Windsor chairs are available in a range of traditional designs and finishes (shown here flanking a kid's sized Windsor) . Here at Chicone cabinetmakers we have revived Windsor tradition of chair making. 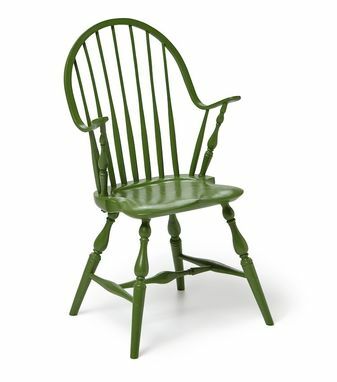 We produce each chair completely by hand in the tradition of our colonial counterparts. The Windsor was introduce to the American colonies by the English in the the early 18th century. 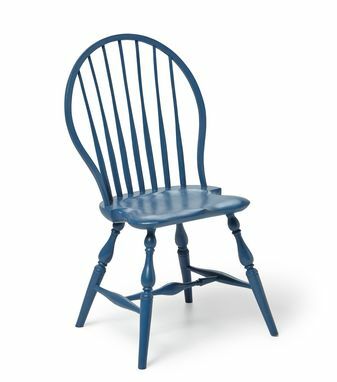 American chairmakers quickly adopted the tradition and expanded on the original design creating an uniquely American style. 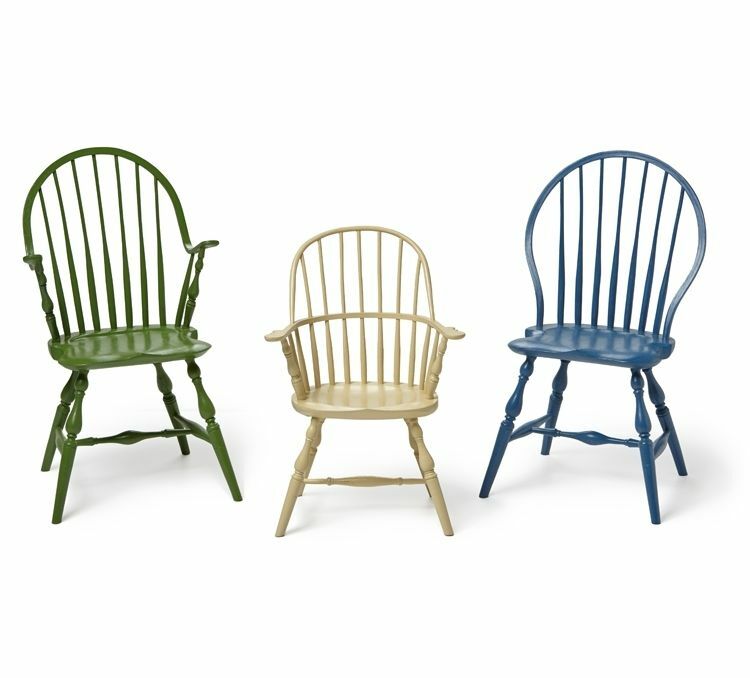 Windsor chairs feature tapered joinery—weight on the seat of the chair causes the joints to strengthen not loosen as is the case in traditional tenon joinery. The strength and stability of the Windsor makes them a treasured American classic. 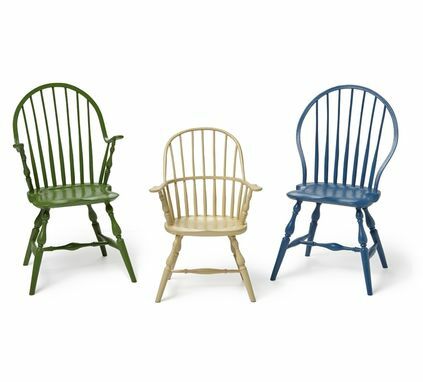 Each chair begins with locally milled green lumber. Every seat is hand-carved from Eastern White Pine. We do all of our turnings by hand on a lathe out of maple or black birch. Every spindle is rived and shaved on a shave horse to ensure the grain is left unbroken from end to end. This traditional process is repeated on the chair's back before steaming and bending. The legs are set using a traditional tapered lock joint which increases the chair's stability. Finally everything is wedged, hand sanded and finished with your choice of colored lacquer or milk paint.